FIFTEEN MINUTES per meal of healthy, balanced, thoughtful, quality food. It takes you MORE TIME to "grab something quick" during your lunch break at work (and usually good choices are not made) or to "whip something up" in the morning at breakfast (again, not the best of choices happening here either). Told you, down to a science! Grocery shop twice per month near the 1st of the month and near the 15th of the month. Because I work from home and manage my own schedule, I opt to go during the late morning on Wednesdays (which coincides with one of my prep days...and that is NO coincidence) to avoid the weekend and "I just got paid" crowds. 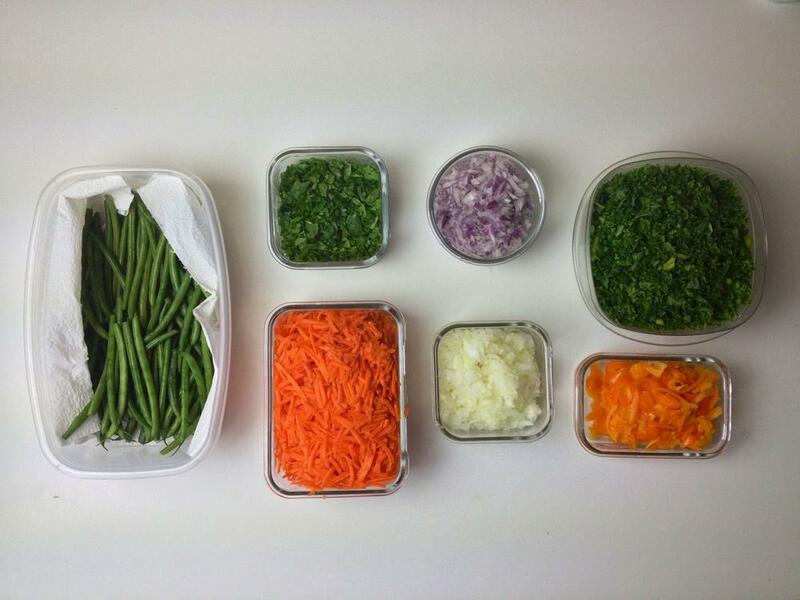 Portion out meats into double serving sizes and remove all vegetables from original packaging to be stored properly. For example, I buy lamb roasts at Costco and cut them into 6-8 oz steaks, then wrap those individually in saran wrap and put them all together in a freezer ziplock bag. I live with my partner and we eat the same foods but if I didn't I would cut the steaks down to 3-4 oz pieces and likewise if I had a family of 4 I would cut them into larger pieces. I don't weigh my meats, I estimate based on the total size of the loin, roast, or fillet. If the lamb weighed 21 oz, I would know that I can get seven 3 oz servings from it so I would cut it into 7 equal sized pieces (for me, it's more like 3-4 pieces since I cook for two). Leafy greens get placed loose and unwashed into paper-towel lined, snap-lid containers. Leave out the meats I want to marinate or cook and follow my list I keep on my Evernote app (it's free) to go through the prepping and cooking process. Veggies and leafy greens stored in airtight containers with paper towels to reduce moisture and air exposure. They stay fresh for up to two week! I make sure to include seafood in my diet regularly, especially fatty fish. Every Saturday or Sunday I enjoy a seafood dish which is usually a fish and veggie stir-fry. Sometimes I chop, shred, grate, or dice my veggies so they are easy to add to salads, wraps, eggs, soups, side dishes, etc. Here's the stew or soup I make weekly in my CrockPot. It's always packed with veggies and often I use shrimp or white fish for protein and of course...my own homemade stock. Typically I make a large batch of steel cut oats, vegetable or seafood soup or stew, seafood stir-fry, breakfast pizza, boiled eggs, tuna or salmon salad, baked chicken, seared pork chops, riced cauliflower, steamed veggies, oven roasted sweet potatoes and squashes, and seared lamb steaks. Takes me about 2.5 hours and I do that twice per week...so there's my 5 hours in the kitchen. The other 4 hours is how long it takes me to get to and from the store, grocery shop, and clean. Of course, it has taken me some time to find my way. About a year or so I would say. But I learned this all on my own. No one ever gave me advice about this, I just figured it out. Now that you are hearing it from me, and no doubt countless other trainers, nutritionists, and coaches, you have no excuse. Having a plan and being prepared is absolutely necessary to a sustainable, healthy lifestyle and diet. No doubt about it. Given all of that mumbo jumbo, let's talk about the key players that make this whole process much more manageable and much less time consuming: my kitchen buddies! I use my food processor every single time I cook. It makes cauliflower rice in a breeze, shreds and slices carrots and onions, makes coconut or almond butter in minutes, and is preferred over a blender for soups, sauces, and purees. The CrockPot gets used maybe 2-3 times per month. I make huge batches of stews, stocks, and soups to be portioned out and frozen for later use. I LOVE this machine because you can throw everything in during the morning, and come home later to a yummy smelling house, and hot, flavorful food! My storage containers are lifesavers. Literally. They preserve the life of their contents so well, I only have to shop twice per month for ANYTHING...including leafy greens. I buy everything in bulk. The silicone spatulas ensure that I don't waste a drop of food while I'm transferring and serving. I HATE wasting food. 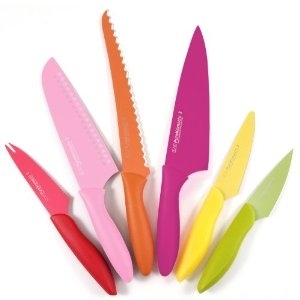 A quality, full knife set and color-coded cutting boards means I can handle meats and vegetables simultaneously (using gloves for the meats) without having to repeatedly clean my knife and board for reuse. 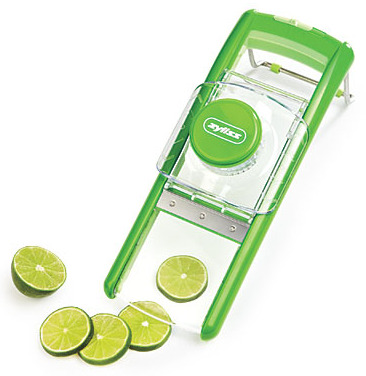 The mandolin slicer makes prepping sliced veggies and sweet potato chips totally painless (unless you cut yourself...which I have actually never done). And of course, multiple sauce pans, skillets, grill pans, and pots of various sizes are a must as well. I buy some of these things at Costco while some have been handed down to me from my mother or gifted to me over the years. My kitchen is more full than my closet. I have more pots and pans than pairs of shoes. I have more knives than earrings and I spend more money on food than I do all of my personal expenses combined including shopping, bills, and gas. It's clear where my priorities lie.